Jackson has over 10 years experience in customer service and sales, gained right here in Western Australia. Jackson has extensive sales and administration knowledge, that will ensure his clients have the best customer experience. Jackson understands how valuable your time is and understands how important it is to listen to your needs, he is committed to delivering honest and high quality results. 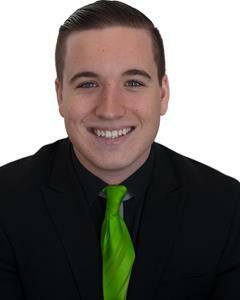 Jackson believes in working smarter for his clients to ensure they receive the required and the best results possible. He is a committed, forward thinking professional that likes to continually improve processes that will make the journey of buying or selling as stress free as possible. His aim is to ensure communication is straightforward, useful and helpful. With his exceptional customer service and professional approach plus passion for real estate and knowledge of the northern suburbs, Jackson couldn't be better placed to sell your property.